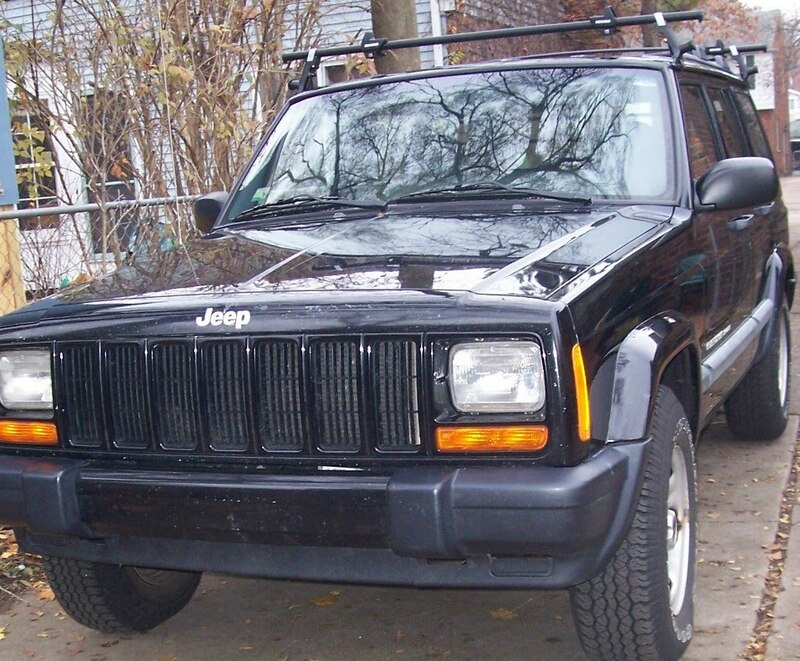 As we take time out from our work on Thanksgiving to be with friends and family, we count our blessings, children, grandchildren, parents, friends, our faith, having a job, but this year as we give thanks I’ll secretly be thinking of my 2001 Jeep Cherokee sitting in my garage. The black Jeep will be turning 165,000 miles soon, and it’s only now after nine years of ownership that I’m really trying to appreciate it. Over the years, I’ve neglected it, left it mud caked after grouse hunting season, and dusty after trout fishing in the spring and summer. That changed last spring when I ran into a Chrysler “car guy” while attending a Trout Unlimited banquet in Ann Arbor. He give the Jeep an admiring look, as though it was a lost child, and told me it was the last of the tough Jeeps made during the last year of production at the Toledo plant and had a six-cylinder engine that was made to last. He said it was made for 60 percent off road use, and for 40 percent highway driving. These days the percentages are reversed, which makes me want to hold onto the Cherokee. His comments give the old buggy a new shine in my eyes, and I took it in for an oil change and washed it. In its shiny condition, it drew an admiring glace from a DNR worker at a State Park toll booth, who said it looked to be in good condition, and that she’d like to buy one like it, and I was prompted into further action. I cleaned the rust off the rims with naval jelly and covered a few rust spots on the rocker panels with black primer. But even with the new good looks, I still wasn’t certain I’d hang on to it for as long as possible. Then came the rack. I picked up a paddling guide to research and write for my publisher, and I knew I’d be hoisting a canoe and kayak on and off the top of the Jeep. For years, I’ve just been using the luggage rack, and tying my canoe to the front and back bumpers. The rope burns on the hood have been mounting, although I view them as patina – battle scars, like the squashed bug bodies, which I don’t seem to get rid of. I bought a new Yakima boat rack that will handle a canoe and a kayak at the same time, and which has clamps that make it unnecessary to tie the boat down – no more scratches on the hood. 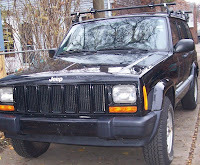 The rack was a commitment because it wedded me to the Jeep for years to come. That’s because it fits on the rain gutters, a feature most new SUVs don’t have any more. I’d have to buy new parts for the rack system, if I bought a new car, and the new piece of equipment wasn’t cheap. Although I know it’s not true, I feel I have a rack that’s worth more than my Jeep. That thought led me to decide I’ll be this Jeep’s last owner. That's a wonderfully liberating feeling. The scratches and dings won't bother me, they’re the patina of my life worn on my Jeep for all to see. Hi Jeff, I had a Jeep Briarwood for the last 6 years or so. Dark green, with woody sides. I loved that car and took immaculate care of it. I never saw another one on the road. Then my son needed a car for his new job and I loaned it to him since the gas had become more than my budget. I settled for a smaller station wagon with better gas mileage though I occasionally took the Jeep for a spin because it drove so well. Two months ago the rear suspension broke while my son was driving the Jeep and he crashed into a concrete lane divider. My son was fine, thank goodness but I cried when my mechanic told me that the Jeep couldn't be repaired. It was the only car (next to my teen years Volkswagen bug) that I loved.